More than a century of farming lifeblood flows through Simon and Trudy Hales’ 970ha beef and sheep farm near Weber where the Hales family have farmed for more than 100 years. 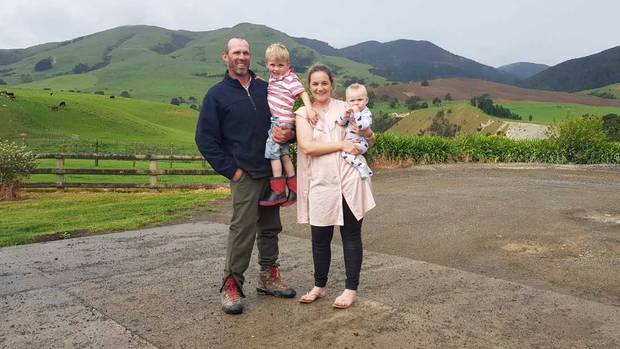 The Hales are the fourth generation to farm the land and the couple have two small children, Rocky and Alby. They are helping their business to thrive sustainably so it can endure and continue to succeed in the hands of future generations. The well-balanced property, with flats to steeper hills, has a number of enterprises and continues to evolve, already enjoying an impressive journey to date. Photo: Weber sheep and beef farmers Simon and Trudy Hales and their two children Rocky and Alby.